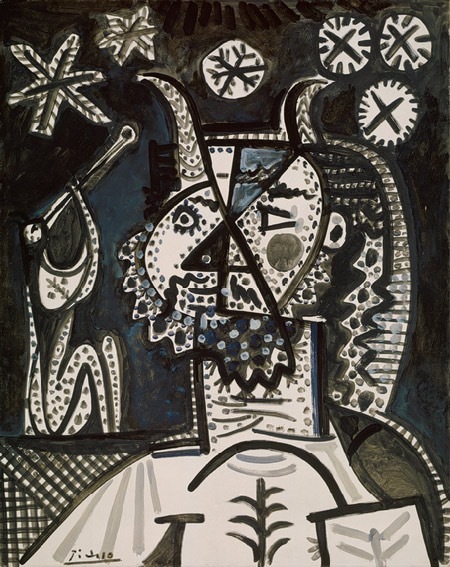 Pablo Picasso (Spanish, 1881–1973): Faun with Stars, 1955. Oil on canvas, 36 x 28-1/2 inches (91.4 x 72.4 cm). Metropolitan Museum of Art, New York, NY, USA. Image: Metropolitan Museum of Art. © 2011 Estate of Pablo Picasso / Artists Rights Society (ARS), New York. © This artwork may be protected by copyright. It is posted on the site in accordance with fair use principles.